This. Smoothie. Literally. Tastes. Like. A. Pink. Starburst! I am not kidding -- it’s pretty amazing! As a health and wellness blog, do you really think I would blend an entire bag of pink starbursts and tell you to drink it?! But once you see the ingredients, you will notice that you may already have these things on hand! With the month of February, this smoothie couldn’t have come at a perfect time, just look at that gorgeous pink color! Vitamin C is a powerful antioxidant that captures free radicals and neutralizes them. Apples, berries, broccoli, red bell peppers, and citrus fruits contain a high level of vitamin C.
Vitamin C helps to absorb iron. It also helps to prevent damage to our bodies from pollutants and toxicities. Since Valentine’s day is coming up, I would definitely replace your morning orange juice for this smoothie and make a wonderful breakfast in bed with yourself or with your significant other! But, as always, be sure to consult your healthcare provider before starting any new nutritional supplement. I’m not a doctor – just a nutrition student! 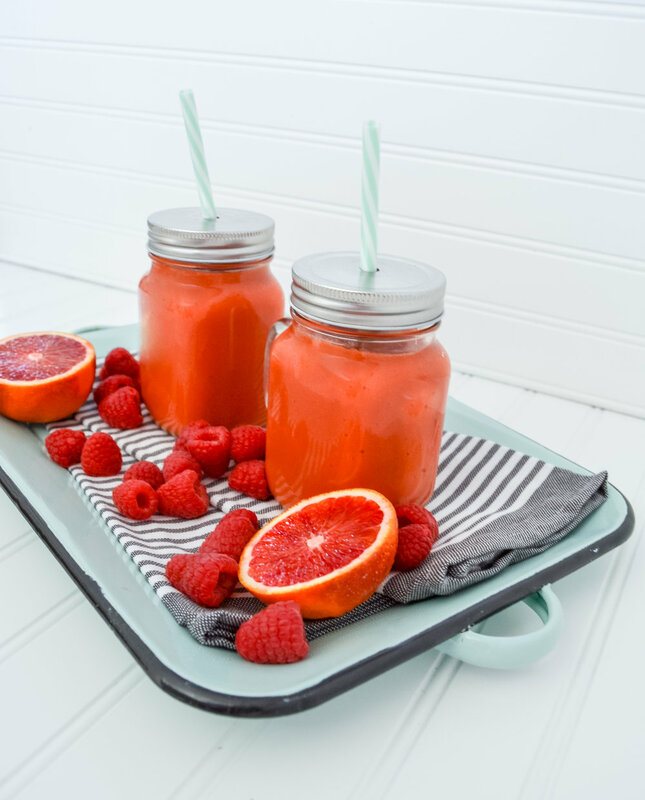 A sweet and refreshing smoothie jammed pack full of vitamin C and antioxidants! Add all ingredients to a blender and blend until smooth -- that’s it! It is best to use a high powered blender like Vitamix or Blendtec. This is what I use! If the smoothie is too tart, start by adding 1 tsp of pure maple honey and increase to your likeness for a more sweeter taste. You can add 1 cup of ice if you want to use fresh fruit instead of frozen. This smoothie can have a grainy texture so if you prefer a smoother texture, then turn this into a juice by filtering through a milk bag or cheesecloth.